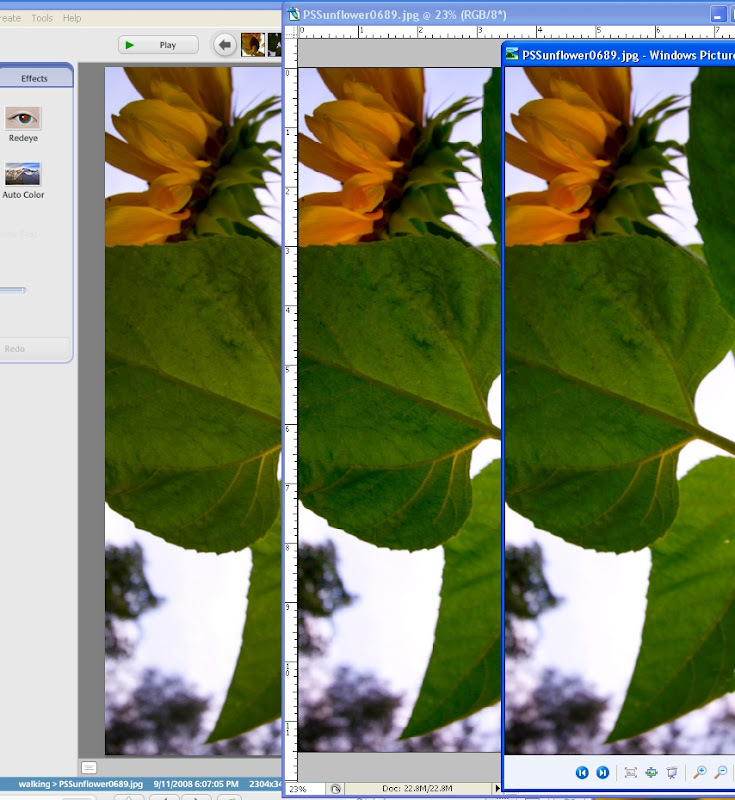 Pulling up the same jpeg file in three different application should render the same image on screen I would expect. But after testing I realize that this is just not the case unfortunately. And it looks like Picasa3 does something funky to the saturation for some reason.